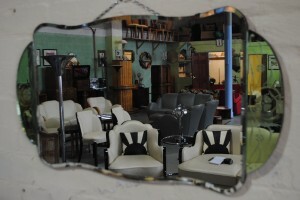 Period mirror in great original condition with light reflecting beveled coloured glass. A large original over mantel with peach glass and brilliant cut line details. 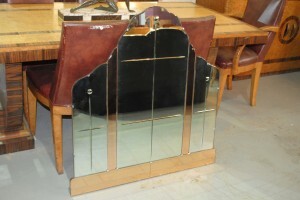 A very nice mirror in fantastic condition. Wow ! What a mirror this is. Where ever you choose to hang this one its sure to be a conversation piece. Stunning bright copper and green glass with double bevelled details. In quite unbelievable great condition. Stunning. 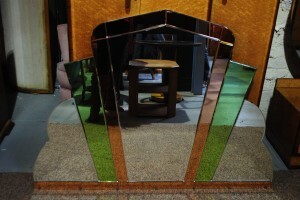 Stunning and imposing Art Deco mirror with Vibrant, deep colours , fantastic shape and bevelled glass. This mirror is in fabulous condition as most of the glass sections have been re silvered and re dated 68 by the glaziers when the old silver coating perished. 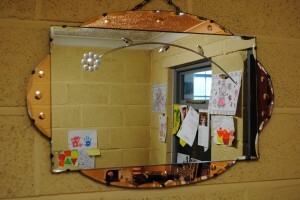 Original Large Art Deco Mirror with Copper glass. Great Mirror! 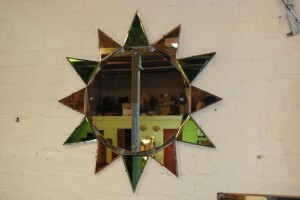 An original large art deco mirror in stunning condition. Beautiful bevelled edge glass and brilliant cut details. A very nice example. For more detail splease call 01257 473688. 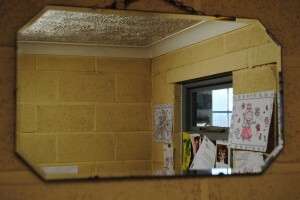 A beautiful and unusual mirror thats very tricky to photograph. This one is in great condition and looks much better in real life. Stunning golden amber colours with nice bevelled details. 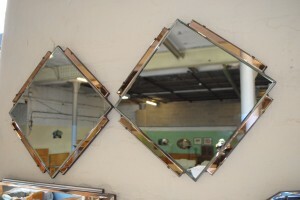 An original art deco mirror with copper glass sides and bevelled edges. 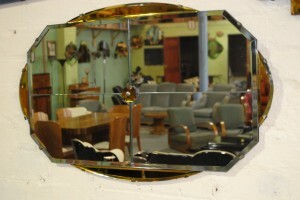 An original Art Deco Mirror with green winged sides and nice etched details. For more details please call 01257 473688. 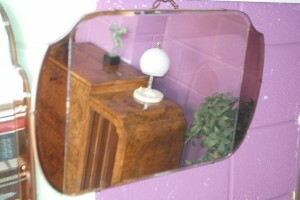 An original art deco mirror, simple clear glass lozenge shape with bevelled edges. For more details please call 01257 473688. 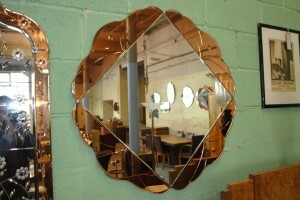 An original art deco mirror with peach sides, bevelled edges and brilliant cut details. For more details please call 01257 473688. 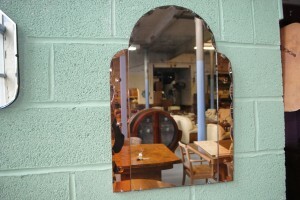 An original art deco arched shape copper mirror with slight chip to bottom corner. For more details please call 01257 473688. 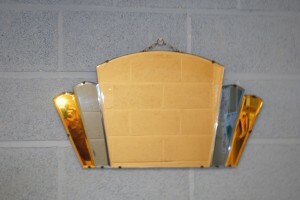 An original art deco mirror. Great colour but with a couple of scratches.